SONA is the 8-part science fiction web series created by, written, and starring Ashley Clements, former star of the groundbreaking web series The Lizzie Bennet Diaries. Streaming on Legendary Digital Networks’ Alpha streaming service, SONA is set in the early 22nd century. Humanity has achieved interstellar travel and in exploring the galaxy, has made first contact with many alien civilizations. Clements portrays the titular Lieutenant Belyn Sona, who is a member of the United Earth Space Corps. In the opening scenes of the series, Sona finds herself within an escape pod marooned in deep space after the destruction of her starship, the Tarazed. Using flashbacks, the series reveals Sona’s backstory, including the pivotal events which lead to her being castaway in space. Episode (26) Unofficial Star Wars Short Films "HOSHINO," "KARA" & "DARK LEGACY"
With Star Wars: The Last Jedi having been released in 2017, the last installment of the Skywalker saga will not be arriving in theaters until the end of 2019. To fill that gap, this episode presents a trio of exceptional, unofficial Star Wars short films that honors and celebrates the best aspects of the franchise. HOSHINO is the story of how a gifted, though headstrong and impetuous, padawan transforms into a formidable Jedi Master. In KARA, it is early in the rebellion against the Galactic Empire. A young woman and her father are attempting to make a perilous journey across an alien desert in order to reach the safety of a rebel base. During their flight, they are caught in a hostile battle between a downed X-Wing fighter pilot and a squad of stormtroopers. In the heat of battle, the titular Kara reveals a closely kept secret that could turn the tide of the war in favor of the rebellion. DARK LEGACY is set on a dark and desolate planet, where a young woman must face a terrible crucible in order to gain her freedom and become a dark lord of the Sith. Sci-Fi Talk is the respected and long-running science fiction podcast created and hosted by Tony Tellado. 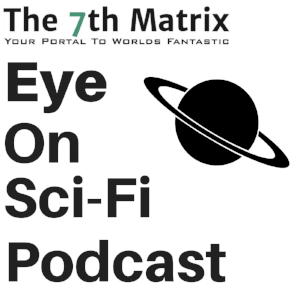 Via the Sci-Fi Talk podcast, Tony interviews fascinating and talented individuals responsible for producing outstanding genre content in various media. He also covers major headlines and production news involving genre entertainment. Tony was gracious enough to discuss his inspiration for creating Sci-Fi Talk in 2005, as well as how the podcast has evolved over the years. He also shares his opinion on what makes great science fiction, why inclusive representation in genre media is important, and what he thinks is the future of genre entertainment. SILENT EYE is the streaming sci-fi anthology series shot entirely on a smartphone. The creation of lauded British filmmaker Simon Horrocks, SILENT EYE follows in the tradition of popular sci-fi anthology series BLACK MIRROR in its examination of the darker aspects of our relationship with technology. Taken from our article 12 Scary Short Films To Chill Your Bones This Halloween, host Rod T. Faulkner pierces the veil to introduce several indie horror short films certain to chill and thrill! Our 22nd episode is a special expanded edition featuring our conversation with British actor Sam Benjamin. Sam Benjamin. Photo courtesy of Abani Photography Ltd.
Sam’s impressive list of acting credits include appearances in prestigious British television productions such as Peaky Blinders and Doctor Who. Sam discusses his acting career including his experiences on the sets of both Doctor Who and Justice League - when the film was under the direction of Zack Snyder. Sam is also the co-creator, co-producer, writer, and star of the acclaimed 2017 superhero web series The Few. He talks about what inspired the creation of The Few, as well as the vision for its second season, entitled The Few: Dark Future, currently in production. 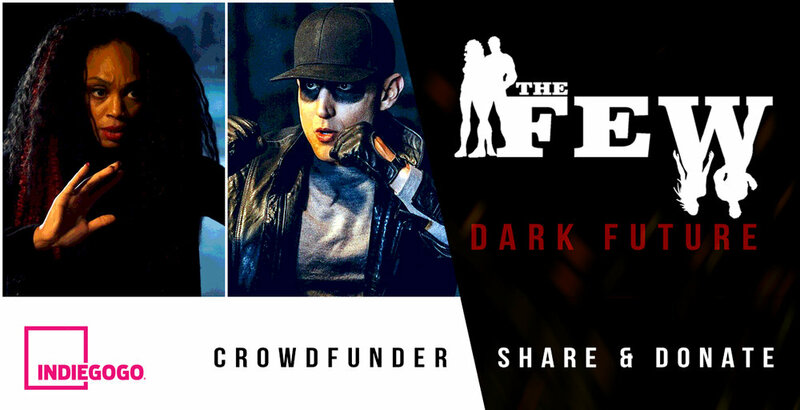 Sam and his production team have also launched a crowdfunding campaign in order to raise additional funding for the production of The Few: Dark Future. Sam reveals some of the exclusive rewards and perks awaiting those who become backers of the second, more ambitious season of The Few. ICARUS is the breathtaking and gripping sci-fi short film about a Mars expedition suddenly faced with a crisis that could jeopardize the entire mission. BIOPUNK is a post-apocalyptic short film set in the year 2054. The planet has been decimated by a viral pandemic. In a shantytown formerly known as London, a young woman embarks on a desperate search for her brother who has been kidnapped by mysterious forces. Featuring Kristian Nairn (Hodor, Game Of Thrones). THE FISHERMAN is an award-winning sci-fi short film shot on location in Hong Kong. The short tells the story of Mr. Wong - a third-generation squid fisherman who is down on his luck. One stormy night off the waters of Hong Kong, Mr. Wong has an unearthly encounter with shattering implications for the entire world.